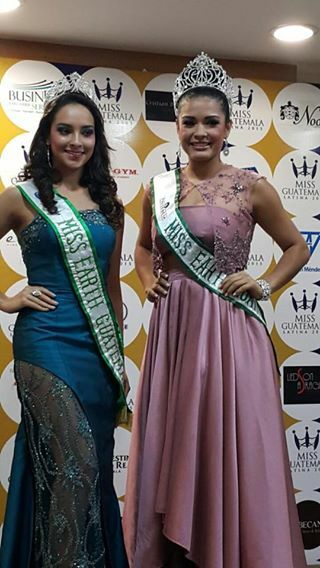 Miss Earth Gautemala 2015 is Sara Guerrero! Sara Veralucia Guerrero Chavarria of Verapaz has won the title of Miss Earth Gautemala 2015. The pageant has also been known as Miss Tierra Guatemala. The finals took place on 31st July 2015. Thalia Raquel Carredano of San Marcos crowned the new queen, who will be representing Gautemala at Miss Earth 2015 pageant. The prestigious pageant, working in the direction of better environment, will take place this year in Vienna, Austria. It will be the first time the pageant will leave the soil of Asia. Except 2010, the pageant has always happened in Philippines. In 2010, it took place in Vietnam. Sara Guerrero is not a new name to those who follow pageantry of Gautemala. Sara has represented the country at Miss International 2013 pageant, which was won by Bea Santiago of Philippines in Tokyo, Japan. Sara Guerrero was also a participant of Miss Gautemala pageant this year, but she caused a stir in the country when she withdrew her participation after comments by Mr. Donald Trump, the co-owner of Miss Universe pageant. The winner of Miss Gautemala pageant represents the country at Miss Universe pageant. In her latest update on Facebook, Sara Guerrero has again bashed Miss Gautemela Universe pageant, contrasting it to Miss Earth Gautemala pageant which she called “fair and transperant”. Best Beauty of 2014: Asha Bhat is the 2nd most appreciated beauty.